Civil Engineering Academy provides series of video tutorials which are very useful for students to pass the Civil PE Exam successfully. The following video tutorial is a part of their video tutorial series. 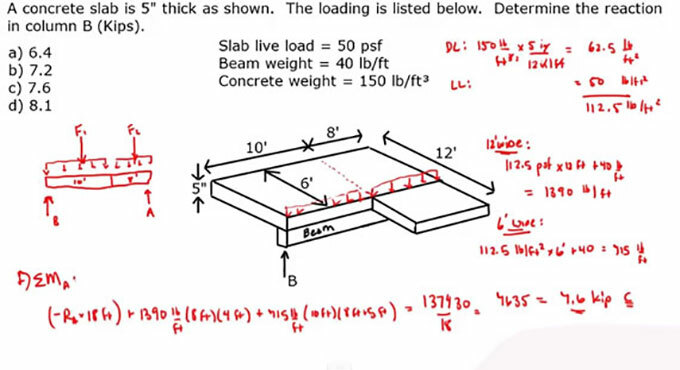 This construction video highlights the solution for resolving the loading problem concerning structural-slab loading on a column. In this video you will find a concrete slab and its thickness is 5”. The loading is also given. Learn how to work out reaction in column B (Kips).